Hack-and-slash Dynasty Warriors is infamous for evolving very little — if at all — with each new iteration in the series. The biggest changes seen so far have been to either the cast or the setting. What was at first only about ancient Chinese warriors, now covers everything from Samurai to Gundams — not to mention badass manga Fist of the North Star. But regardless of the window-dressing, the gameplay has been nearly identical across all Dynasty Warriors titles. Until now. 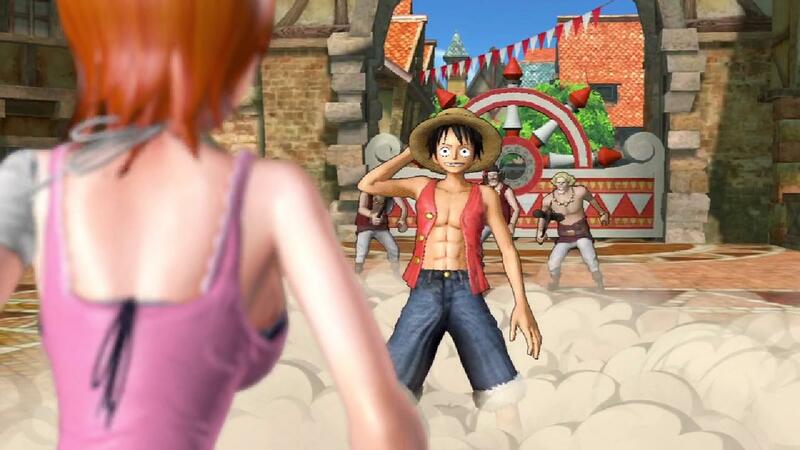 While the standard "defeat a miniboss to claim the area and repeat" goal is still present in some levels of One Piece: Pirate Warriors, there are also "action" levels. These levels are structured more like a series of arena battles with rudimentary platforming sections in between. They are also filled with interactive cutscenes and some sections even require a bit of third-person aiming. To see how this new style of Dynasty Warriors looks in action, just check out the video above. One Piece: Pirate Warriors was released on March 1, 2012, in Japan only on the PlayStation 3. Currently, there has been no official word on a Western release. I hope they release it to a western audience subbed... Have One Piece: Grand Adventure on ps2 and the english dubbing makes me cringe. ZOLO.